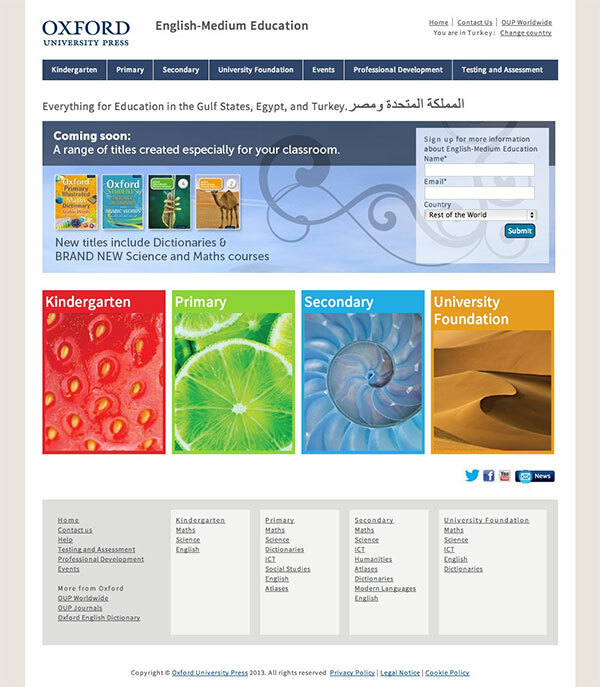 I was asked to design and build a ‘clean’ website for this Oxford University Press portal website that is aimed at selling educational material in the Gulf States, Egypt, and Turkey. There were two phases, firstly a very simple three page holding site, followed by a full website (currently in build). I designed and built both phases up to HTML and CSS, then OUP developers integrated it with their in-house CMS. Website design and build for Oxford University Press. Thanks for these Jack, I love all of them! I love the images you have picked.